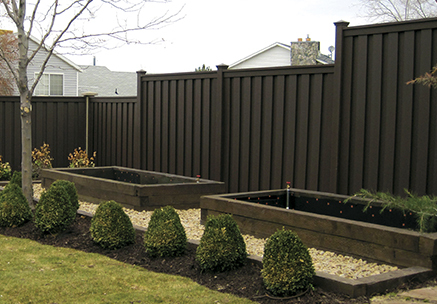 Trex Seclusions® and Horizons® Fencing are the industry-leading, low-maintenance composite fence products. Each one offers stunning looks and a true neighbor-friendly design plus all the beauty of wood without the upkeep. 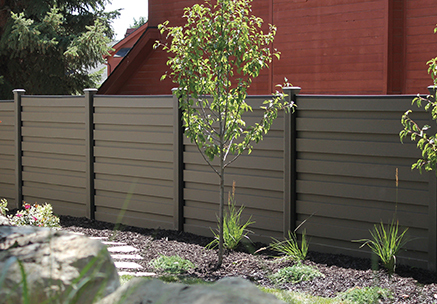 They are also stronger and more durable than vinyl and softer and richer in color than other fence products. There simply is no privacy fencing that is more natural looking and beautiful. One of the biggest reasons homeowners love Trex is because of their eco-friendly design. Trex composite fences are made with an innovative mix of 96% recycled wood and plastic and have been for over 20 years, long before it was trendy to be green. 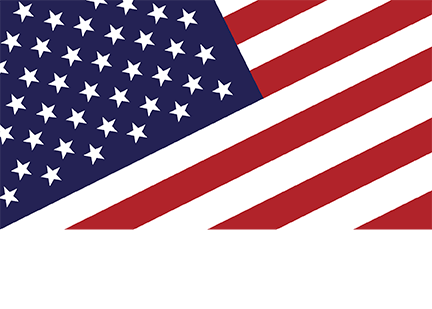 The manufacturing process is also eco-friendly, eliminating the use of polluting smokestacks and recycling the refuse. These composite fences are a great choice if you are looking for a fence for an environmentally conscious client. Choose from two popular models – Seclusions and Horizons. Seclusions features a unique design with vertical panels. 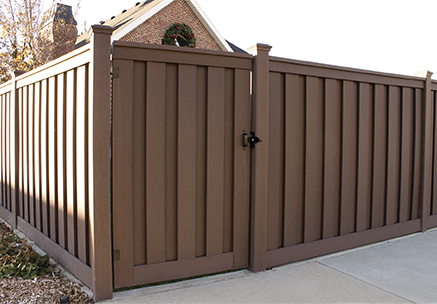 Each interlocking panel is specifically designed to provide extra strength so that the fence won’t bend or warp with time. Horizons has a unique new eye-catching design with horizontal panels. It is easy to install with an interlocking picket system and it can be customized for height, style, and slope, making it perfect for any yard. A matching gate is available for Seclusions.